New for 2018 is the Striped Ebony U•Bass. 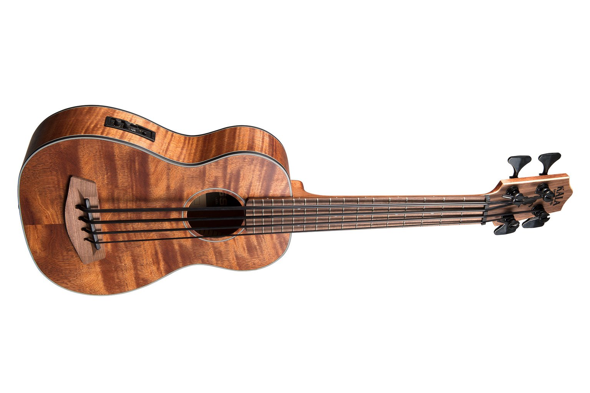 The beautiful Striped Ebony U•Bass has a deep brown colour with reddish-brown striping. The Maple binding creates a striking contrast with the Ebony body, helping the striping stand out. Available in fretted and fretless models, each comes in a padded gig bag. Fretted model also available with Road Toad Pahoehoe strings. 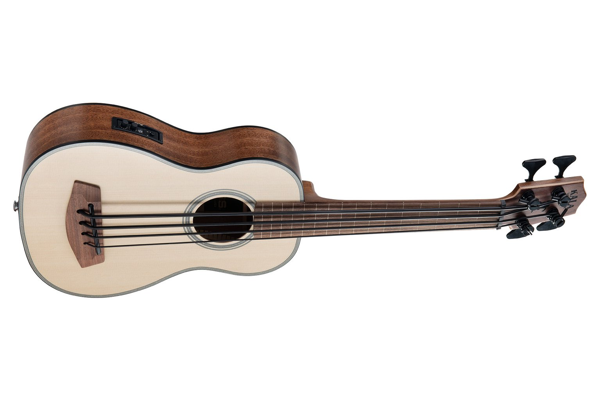 The Wanderer is the most basic model U•Bass in our new line. The Wanderer is made of Mahogany and has been stripped down to the bare essentials to make it our most affordable U•Bass yet. The Wanderer maintains the booming sound of the U•Bass and the no frills approach gives it a clean look perfect for any situation. The Wanderer will help you find your way. Available in a fretted model. The second U•Bass in our new line is the Passenger. The Passenger is made of Mahogany and features subtle white binding and rosette as stylish ornamentations. 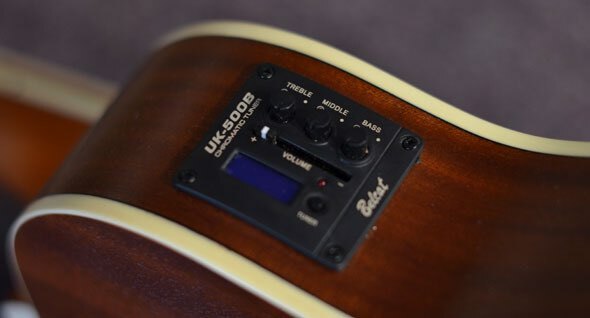 The Passenger has an austere appearance but maintains the booming sound the U•Bass is known for that makes it great for learning and gigging. The Passenger will accompany you anywhere you go. Available in a fretted model. •Passive Shadow Pickup System w/4 Individual Elements and Compensated Saddles now with built in EQ and tuner! - NEW for 2013! •Limited Lifetime Warranty against defects and materials, 1 year on electronics and tuning machines. 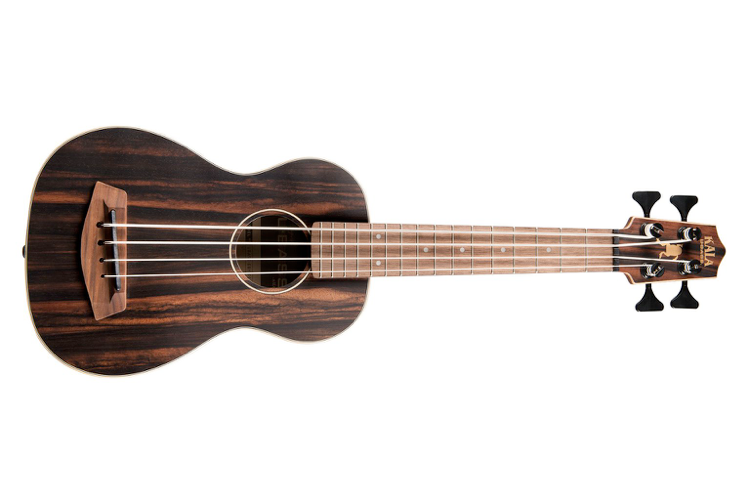 The Makala line features an array of ukulele with a vintage look at an entry-level price. Kala is known for high-quality instruments that sound amazing, and the Makala line is no exception. Focusing on the essentials — quality at an affordable price — a Makala is the perfect uke for jumping in. 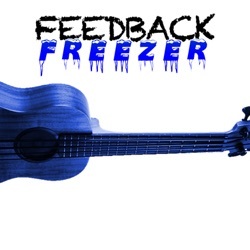 •NOTE: Use care when removing Feedback Freezer. Unit features a tight fit, and requires a slow and careful removal. 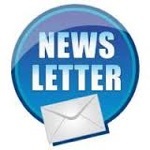 Thundergut® is a special very elastic and dense material developed by us in our headquarter that assure superior performances over the common polyuretane and silicon rubber bass strings available in the market. Thundergut® assure fast and stable intonation; no sweet finger's slip on the strings. These are an off white colour. The new Silver Rumbler strings are made exclusively for Kala by Aquila; they have a little bit more tension than the classic UBASS strings. They use a special "Nylgut" compound to give them increased density and stability - as well as, they claim, the ability to resonate tone at very low frequencies. They reportedly have a clearer tone and solid low end - and are significantly different than the Kala Pahoehoe U-Bass set. This is the "OEM" string that comes stock on the Rumbler U-Bass. The Thunder Reds sets: a unique look and a strong, consistent sound. the thicker the string, the duller the sound.